At 10.45 the families of the hosts start from Josephspitalstraße their route toward the Theresienwiese on decorated carriages drawn by horses and oxen carrying the beer kegs of the traditional Munich breweries, accompanied by the waitresses and followed by famous bands. 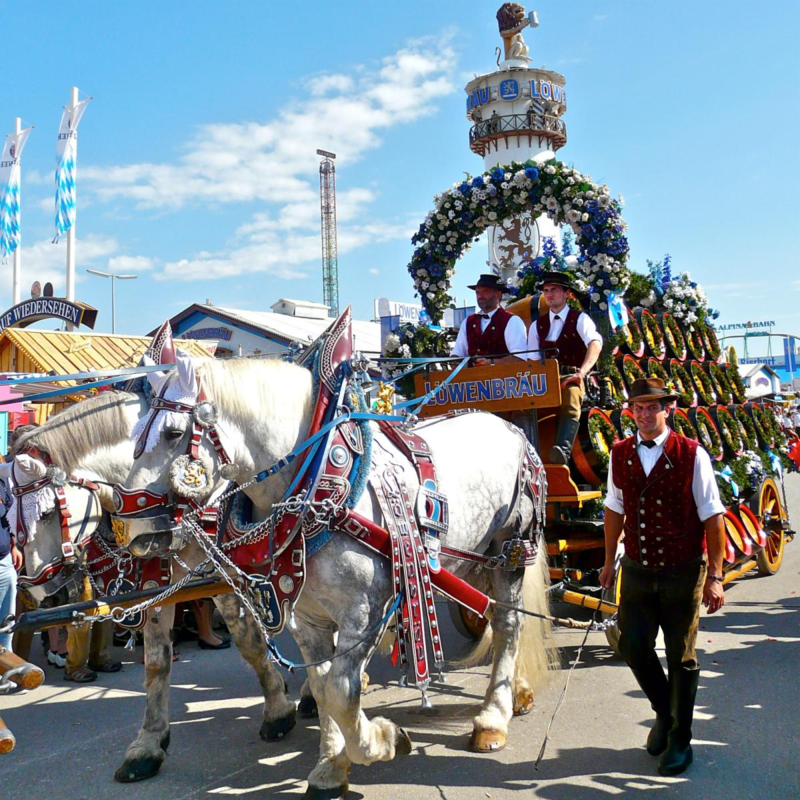 Leading the parade is the “Münchner Kindl” the symbolic doll of the city of Munich. Arriving at the Schottenhammel takes about an hour, having passed through Sonnenstraße, Schwanthaler Straße, Bavariaring and Wirtsbudenstraße. There are more than 1,000 staff that make the Wiesn-Einzug der Festwirte und Brauerein Parade an event followed all over the world, broadcast live on TV and via the Internet and includes the appearance of different celebrities, the Press, as well as the thousands of spectators on the streets of Munich.